Sometimes simple is better and less is more right? Yes! Sometimes the most striking portraits are not about color or polish but about expression, line work, contrast and emotion. Sometimes using less materials equals MORE impact! Join me for this portrait class where we will explore some of my favorite tools, tricks and tips for creating evocative, expressive portraits. Examples of my expressive portraits done with simple materials. For this class, I will be guiding you through some exercises to get you comfortable with your own expressive marks. Then we will jump into doing some sketching with our non-dominant hand! Yes, it feels awkward BUT some of the most expressive lines come when we do this. Not only that, but it often shuts off the inner-critic and allows the left brain to relax while our beautifully creative right brain takes over! I truly believe that we can benefit greatly by using both sides of our brain when creating! It's been revolutionary for me. I will show you how to get the most from this process and create wonderful form and line work. Then after we are all warmed up, I will be teaching two complete portraits. One will be created on a gorgeous linen canvas using minimal materials with a focus on light and shadow. 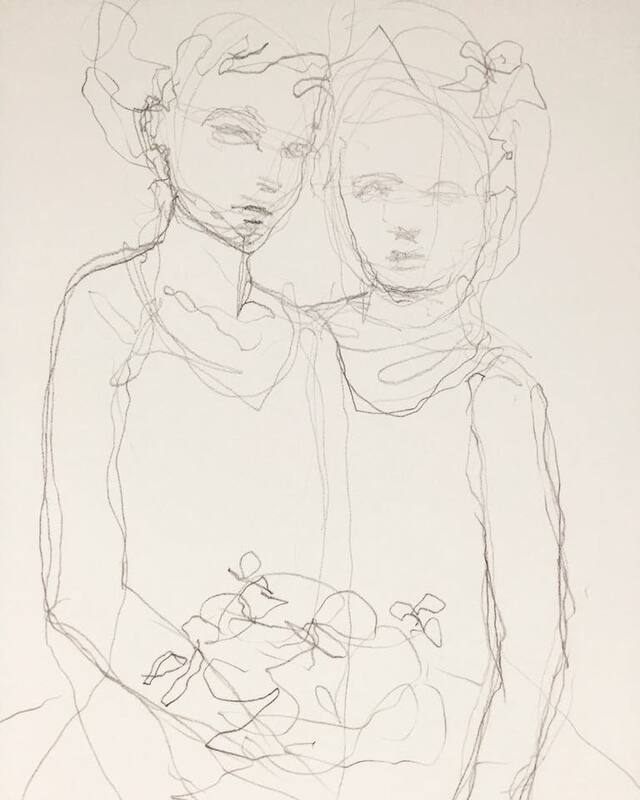 The second portrait will be done on watercolor paper and will have a focus of expressive line, pattern and boldness with an optional accent color to enhance and activate the piece. Both portraits will emphasize emotion over realism but I will be showing you how I compose and lay in my form to achieve a realistic look. Anyone who wants to create more expressive portrait work and learn more about the art of observation. When we start to draw what we SEE over what we think we see our art takes on a whole new appearance. This class is for anyone who wants to break old habits, expand their practice and dare to be more bold and soulful in their work. You don't need a ton of experience, you just need an open mind and a willingness to create in a new way. A special bonus portrait included! Utilizing both our non-dominant hand and dominant hand as a team to explore fresh line work and looseness.